Private equity firms have come under scrutiny from MPs at the first of a series of hearings into the industry. The Treasury Select Committee, which is investigating the sector, accused the industry of not being transparent. Representatives from the British Venture Capital Association (BVCA) were involved in an exchange over the tax breaks given to private equity firms. But the sector argues that it improves the performance of the companies it buys and is good for the economy. And Jeremy Hand, of the BVCA said that the tax regime had stimulated enterprise and entrepreneurship. Private equity has been criticised by unions over the effect of takeovers on jobs and pensions. 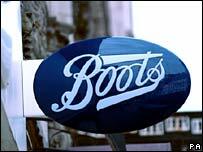 A number of well-known companies, including AA, Birds Eye and, recently, Alliance Boots, have recently been bought by private equity firms. Last week the head of one UK private equity group, SVG's Nick Ferguson, said the claims may have some justification, when he admitted that some of those running and investing in private equity were paying tax at a lower level than cleaners. Labour MP George Mudie, a member of the committee, said that such an admittance meant the Chancellor was "bound to do something about it". He claimed that individuals with "money coming out of their ears" were using the system to reduce their tax payments. And he complained that information supplied to the committee had been "bland". Documents submitted said that more than £80bn have been invested in about 29,500 firms since 1983. It called on the government to ensure that capital and talented people were not drawn away from the UK. TUC secretary Brendan Barber told the committee that an increase in scrutiny of the private equity industry was long overdue. He complained that workers at firms set to be taken over were treated "as the cheapest chips at the edge of the roulette table". Unions also charge that the companies taken over by private equity suffer job cuts and worsening working conditions. But the private equity industry argues that its actions benefit the UK economy. "We very much welcome this opportunity to put the case for private equity in Britain as being a force for good and a very strong contributor to the success of the financial services industry in the UK," said Wol Kolade, BVCA chairman. On Monday, the Financial Services Authority (FSA) announced it would continue to investigate the growth of private equity-led takeovers. It said it would study issues such as excessive debt and market abuse, and also ask banks about their exposure to leveraged buyouts.